[audio:http://www.truthrevolution.tv/show/TS-0315.mp3]No Flash Support? Use this Audio Player! Jeff: Here’s the good news: READ GALATIANS 2:15 – 3:26. Here is my paraphrase. NONE OF US… seriously, NONE OF US can get to Heaven by following the rules or doing good things. Jeff: …faith in Jesus Christ. Jeff: …and we stop trying to make it to Heaven ourselves THEN we are saved! 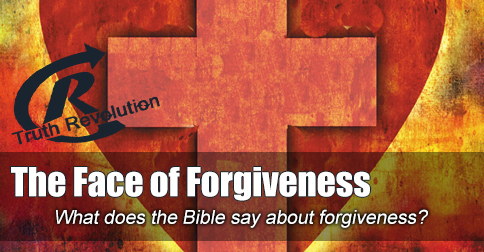 Dave: When we have faith and rely on Jesus to give us forgiveness, then we ARE forgiven! Jeff: The law, the rules, and good deeds will NEVER fix our sin problem. And they don’t have to – Jesus already fixed it.